The majority of houses in the New England area were constructed on fieldstone foundations.in some cases it is all fieldstone or could also be a combination of fieldstone on the bottom and brick on the top. Depending on the history of the house these foundations often need maintenance of some degree. 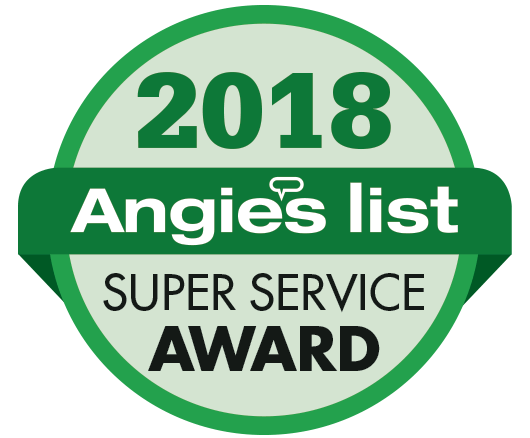 The extent of the maintenance obviously varies from house to house and depends on a number of factors– house location, exterior landscaping, roof water collection systems, downspouts etc. Before starting any basement restoration project it is always a good idea to walk around the property to ascertain if there are any common sense courses of action that could be taken to keep unnecessary water away from the foundation. Once this has been done we concentrate our efforts on the inside. Tell tale signs that the foundation needs some degree of Restoration is the presence of what appears to be dust (broken down mortar) between the fieldstone and very often a trail of mortar dust all around the perimeter of the foundation. Sometimes the foundation needs partial attention but very often the whole thing needs to be worked on, this would be assessed upon inspection. The procedure involves the removal of all the old mortar. 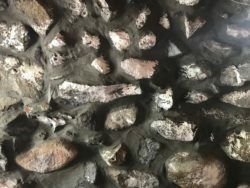 The methods used to do this usually involve chiseling, raking and scraping out the old mortar and is usually determined by the overall condition of the wall. 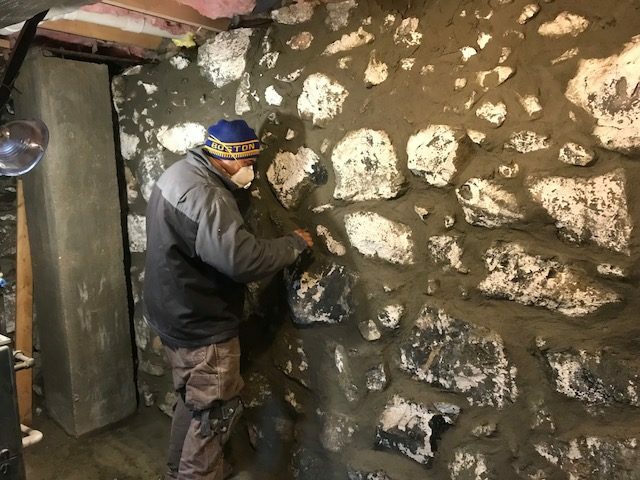 A good restoration job depends on thorough preparation, i.e., removal of all loose material to get to a decent substrate to ensure proper bond once the new mortar is applied. 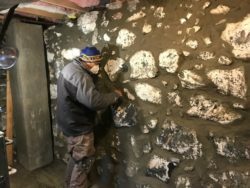 As with all forms of masonry restoration, it is important that the new mortar closely resemble the old. 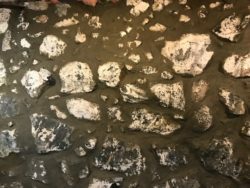 All the old foundations typically have a high lime content mortar and care should be taken to make sure it is similar. If you feel that your basement is showing signs that it may need some Restoration please feel free to contact us to set up an inspection. We have an experienced team that will treat your foundation with the respect it deserves and leave you in good shape for many years to come.